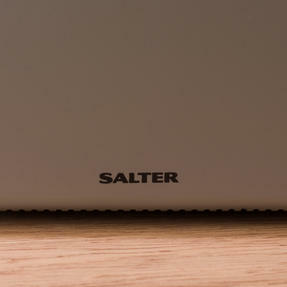 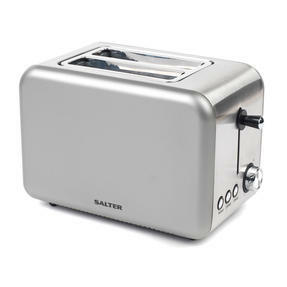 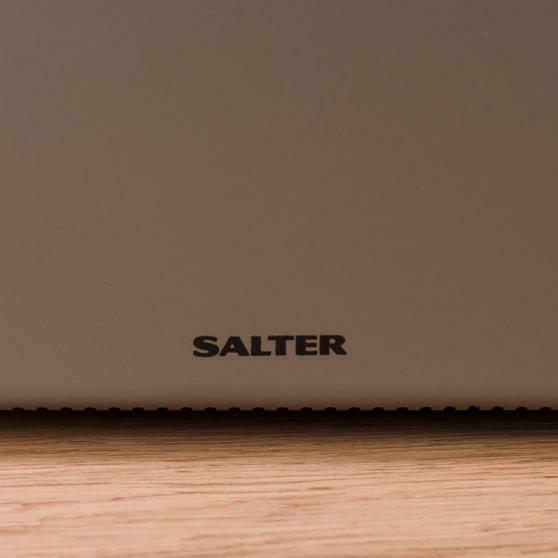 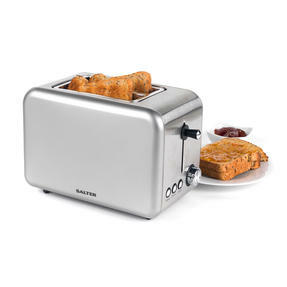 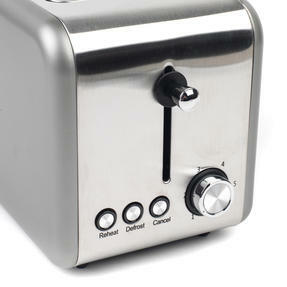 Add a touch of style to your kitchen worktop with this Salter 2 slice toaster which has a sleek metallic titanium body. Featuring variable browning abilities as well as reheat, defrost and mid cycle cancel functions, you have complete control so you can make the perfect slices of toast for breakfast. 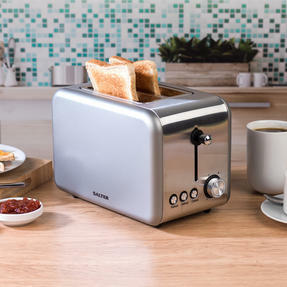 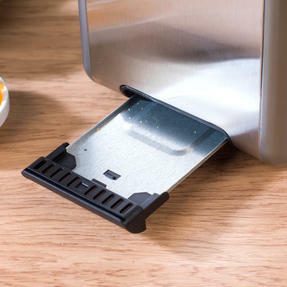 It has power indicator lights for safety and ease of use, as well as a removable crumb tray so you can toast your bread exactly how you like it and effortlessly clean up afterwards. The Salter Polaris 2-Slice Toaster features a striking titanium metallic finish for a stylish design to match any kitchen décor. 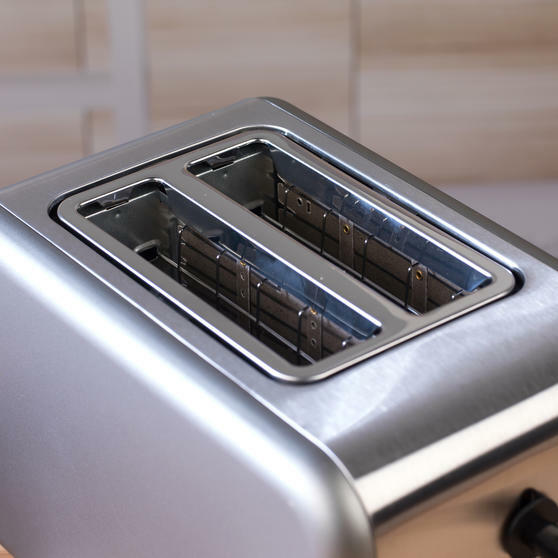 With defrost, reheat and cancel functions and 6 levels of variable browning control, create perfectly toasted snacks with every use. 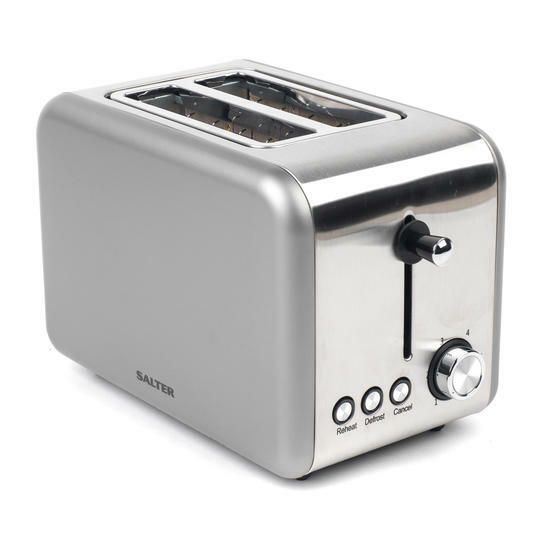 This 850W toaster features wider slots to accommodate toasting thicker slices, bagels, teacakes, crumpets and more. Measuring 29 x 16 x 19 cm, the toaster features an indicator light and removable crumb tray for simple use and easy cleaning. 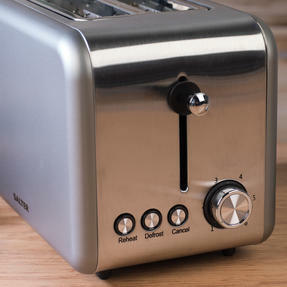 Combing everyday practicality with beautiful design, the Metallics collection would be the perfect addition to any home.